Struggling to stick to your kid’s routine? This simple, DIY routing book involves your child in setting and following family routines. Consider making one or two for your preschool or kindergarten classroom, as well! Making a routine is one thing. Sticking to it is another altogether. It’s easy to get sidetracked during your child’s daily routine, especially when a thousand distractions are hurled at you from the kid’s themselves. And while the beauty of a routine vs. a schedule is that it is flexible, there’s still a trick or two you can use to help your kids and students follow their routines with less fuss. 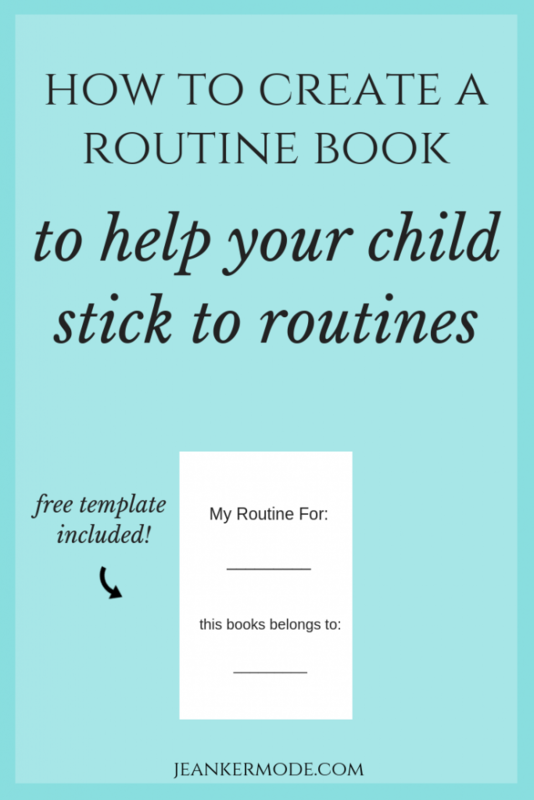 Enlist your child to help you make a routine book! I first heard of this idea during a Montessori seminar. A mother was asking for help with her bedtime routine. A suggestions was offered: make a routine book for the child. In the book, list each step, e.g. brush teeth, ask one last question, etc. And the last step? Wake up in the morning! The idea is that by creating her very own routine book, the child will understand better what is expected of her. (This is half the battle.) Plus, an illustrated book is the perfect reference for you as a parent or teacher to point her to when you are reaching the end of your patience and starting to veer from the routine yourself. 1. Include your child in listing the steps of the routine on a sheet of paper. By involving your child, you encourage her to feel a sense of pride as she later follows the steps she helped to write down. One at a time, I carry plates, forks, cups, and napkins to the table. I sit at the table and wait for mom to bring the food over. When I am done eating, and I am excused, I get up and carry my dishes one at a time to the sink. I check to make sure my chair is pushed in. I clean up any crumbs or spills I see at my place. I wash my hands and check my face in the mirror to see if it needs to be wiped. If that’s too many steps, you can simplify further. 2. Print your free routine book template from my library here, or make your own. 3. List each step of the routine on a separate page, and illustrate. If your child is old enough, he can write the steps. If not, he can draw accompanying pictures to each step. These pictures can help your child remember the steps. For example, he can draw a picture of each thing he needs to bring to the table at lunch time. I recommend using a blank page for each illustration. When you set up the book, you can put the picture on the left of the spread, and the written steps on the right. 4. Invite your child to decorate the cover page. The more the child participates in making this book, the more likely she will be to want to use it later. Let her decorate it how she likes, using the tools that you give her. (e.g. crayons, markers, etc.) If she can’t yet read, encourage her to include a picture that will help her remember which routine this book is for. You can help to write her name on the front if she can’t do it herself. You can use a binder, putting each page in a sheet protector, or just simply use a three-hole-punch and some ribbon to bind the book. 6. Read the book with your child. Read it once together after you have finished making the book. Then, read it again the next time you need to transition to that routine. For example, the next time you are about to make lunch, get out the lunch time routine book and read it together before you start lunch. You can repeat this as many days as you need to, but it may be enough to let your child look at the pictures by himself next time. Eventually, your child will learn the routine and won’t need to look at his book each time. Just find a convenient home for it so it’s there for reference if/when the routine starts falling apart again. 7. Make as many routine books as needed! You might not need a book for every routine. 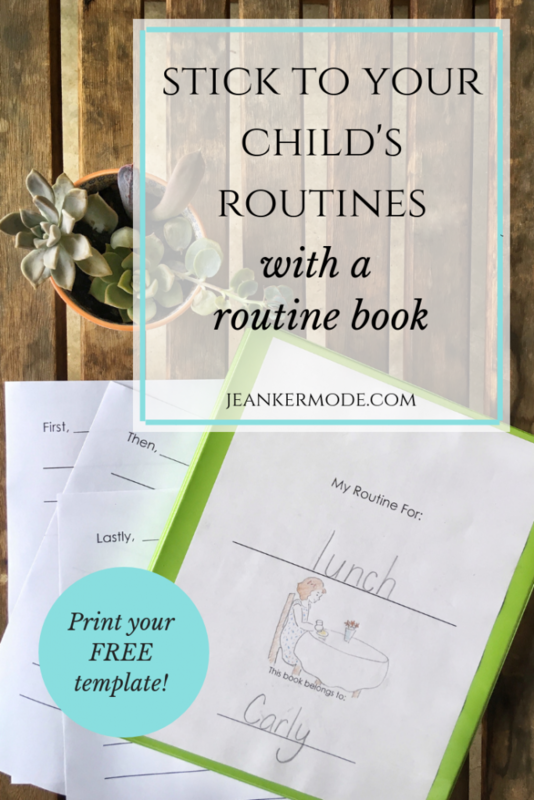 (That could actually get a little out of hand…) But, when there is a particular routine that you are struggling with or just trying to get down pat, make a routine book with your child! Does A Routine Book Help For Multiple Children or a Classroom? Of course! Be as creative as you need to be. You can let each child illustrate one page. You can make a routine book for each chore, and assign each child to one chore. What are your tips for sticking to routines as a class or a family? Share them with us in the comments! Print your free routine book template from my resource library below! Broaden your kids’ musical horizons with this collection of 21 recommended CD’s and playlists. From blues to bluegrass, classical to classic country, you’ll find music for kids that will keep you humming, too. (And not in the I-can’t-get-that-annoying-nursery-song-out-of-my-head kind of way.) Great for home, the classroom, as well as the drive to and from. To all the teachers and parents out there who can’t take another version of the baby shark song, (unless that’s just me?) here’s some good news: kids like other music, too! The Gipsy Kings are just as fun to dance to, trust me. A sometimes forgotten Montessori principle is, “give the children the best.” And, surely, it gets better than a cartoon soundtrack. (They agree.) 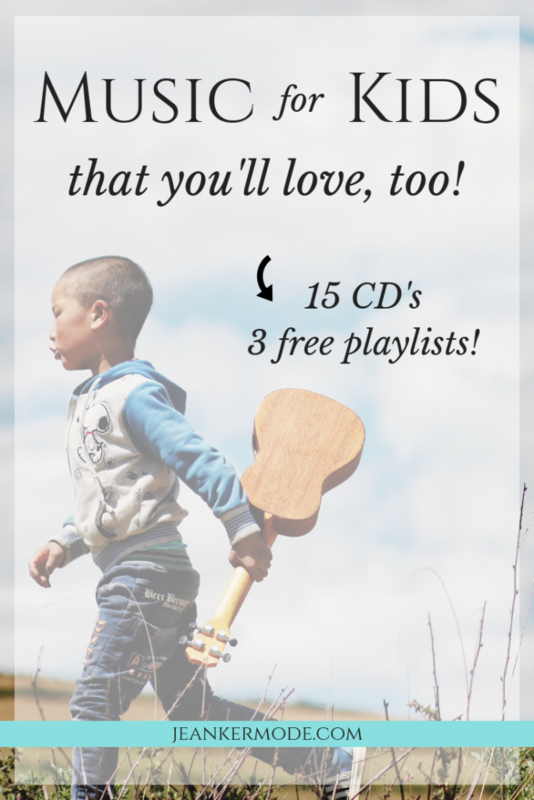 So whether you plan on setting up a music nook in your home or classroom, or just switching up the car tunes, check out this list of 21 CD’s and playlists to introduce your kids to music that they’ll love for life. Maybe little Bert will discover he has a thing for zydeco. This post contains affiliate links. For more information, see here. Ukulele Nahenahe, Herb Oha, Jr.
👉🏻Get ideas for how to incorporate music in your classroom or home here! This list is just to get the wheels spinning! There’s so much wonderful music out there that kids can appreciate. And if they’re not interested in the first CD or playlist that you try, don’t give up! Pay attention to what your kids are interested in, and use their interests to help you discover new music together. Share your music recommendations with us in the comments! 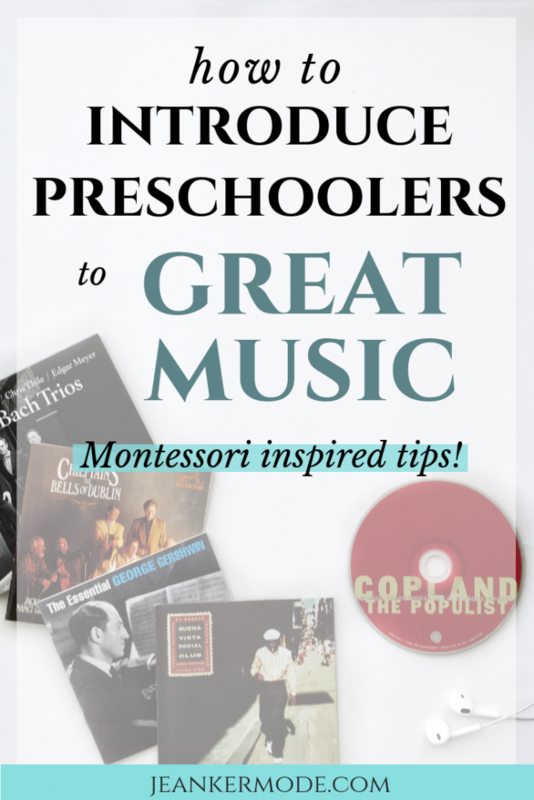 Set up a simple Montessori music nook in your home or classroom to introduce your child to a variety of wonderful music. 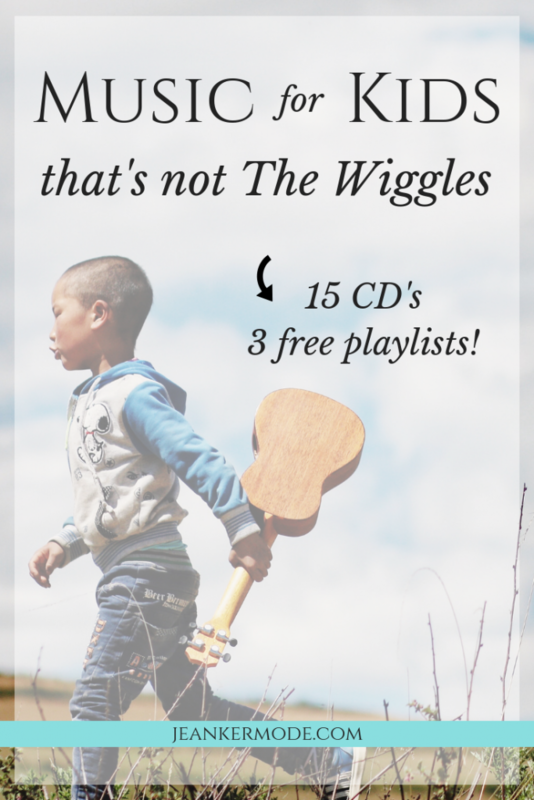 You don’t have to be a music buff or concertmaster to help your child discover the world beyond the Wiggles. Maybe she’ll be inspired to learn an instrument herself! In a world that is saturated with so many noises, how can we help our students and children to appreciate good music? While we don’t want kids to get too plugged in, we can use technology to our advantage. If we keep in mind a few helpful Montessori principles, we can introduce kids to music in a way that helps them to truly appreciate and savor it. One way to do this is by creating a Montessori music nook. Begin by choosing an area of your classroom or home where your kids can sit, one at a time, and listen to music. You can make the music nook part of your reading nook, or you can set aside a separate area. Another option is to set up a music basket on a shelf and allow the children to take it to a table or floor mat, as they would any other work. Then invite one child at a time to use the music nook. Show him how to carefully use the materials, and explain that the headphones are so he can listen to music while the other students are concentrating on different work. Show him where the volume needs to stay (mark it in red on the dial, if possible.) Explain the routine and any other limits. Give the child the best. Aaron Copland and the Beatles, if you’re asking me. Don’t give her Baby Mozart, just give her Mozart. Nobody is too young for symphonies. Follow the child. The above being said, if your kids love “The Muffin Man,” give them “The Muffin Man.” Or if a student expresses interest in the harmonica, find him a Toots Thielemans CD. As a class or a family, you can study a new composer, band, or type of music each week or month. For example, one week you can set out a Chopin CD, and later a Beethoven CD. Then next month, you can move on to world music, or storytellers, or bluegrass. You can listen to the music altogether outside of class/work time, e.g. during lunch, in the car, or at the end of the day. 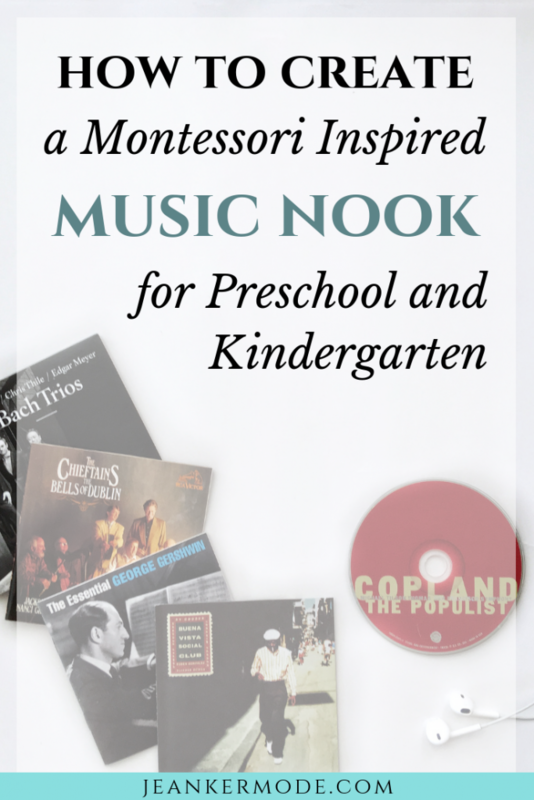 Supplement the music nook with other Montessori music materials, such as the bells, musical instruments, or classified cards that teach the names of instruments, notes, etc. Got any tips for introducing music to children? Share them, and your favorite music, with us in the comments! 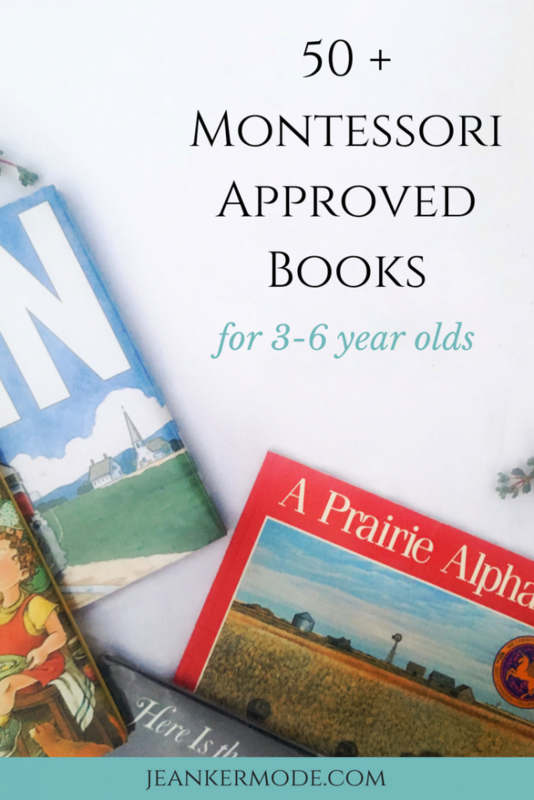 Stock your bookshelf with these 62 Montessori appropriate books. Stories about pancakes, books about trains, old classics and new finds, there is something here for every child. Check them out! One of the trickiest parts of abiding by the Montessori philosophy is finding beautiful children’s books that don’t have talking animals, flying children, or meatballs falling from the sky. In Montessori primary rooms (ages 3-6) the focus is on the real world. → Read more about fantasy and Montessori here. Montessori appropriate books are out there, but sifting through shelves at the library can get a little time-consuming. So I did that for you! 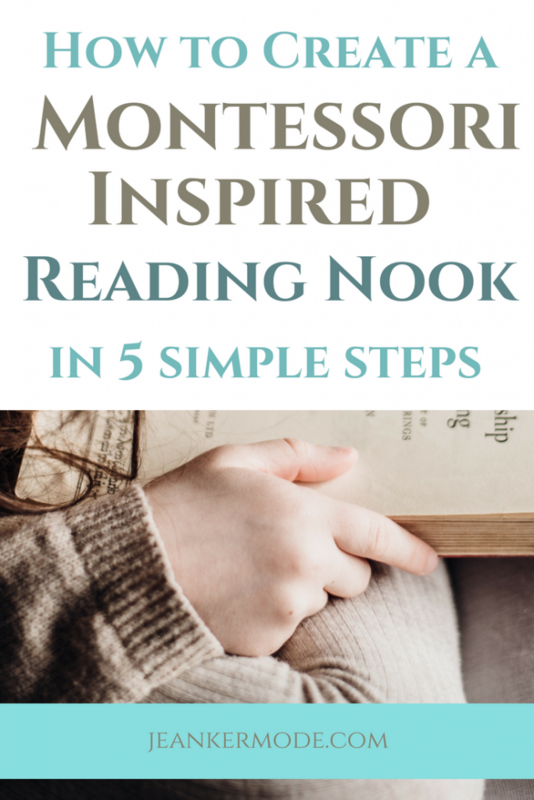 Here is my list of Montessori appropriate books for three to six year-olds. I’ve included several of the books I loved growing up, as well as many new ones I’ve found. This post contains affiliate links. I only link to books I love. For more info, see here. Many of these books are great for reading aloud, and all of them have beautiful pictures for the child to look at even before he is reading. The poetry books at the end can be used as a reference for you, for teaching sight words, or just for the child to look at. Whenever I come across another awesome book, I’ll update the list over here, so make sure you bookmark this page to come back for more! Always choose the best quality book you can find. (New and hardcover, if possible.) This is one way to show respect for the child. She will learn to treat books well if you show her how, and if she starts out with a beautiful book in perfect condition. By the age of 3, children are ready for real pages. No need for board books. Want to encourage your kids to read? Give them their very own, special space to fall in love with reading. 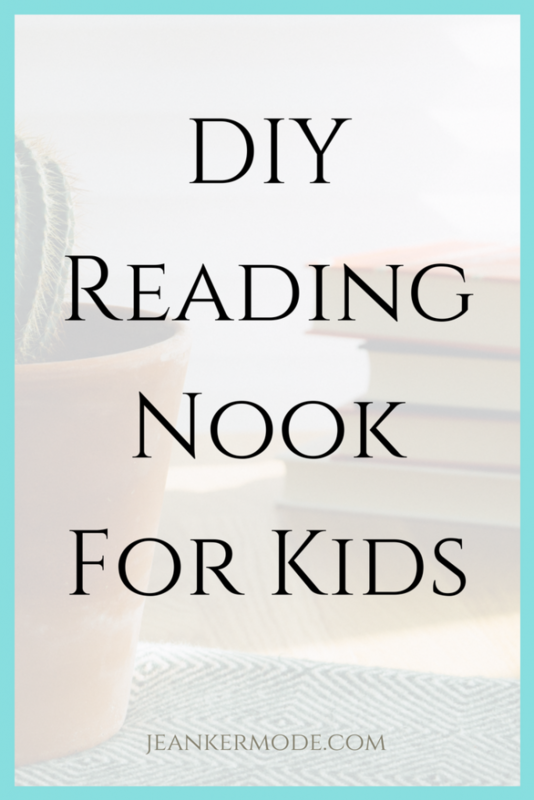 Follow these 5 simple steps to set up your own DIY reading nook for kids in your home or classroom. In every Montessori classroom there is a reading corner. This little library gives the children a place to explore the world through books, or to rest while looking at beautiful pictures. A peaceful environment set aside just for books can help children learn to love reading, too. Ready to set up your own reading nook? No matter how small your home or classroom, you’ll be able to find a space to show your kids the magic of a book or two. Choose an area of your home or classroom that will be conducive to quiet reading, with plenty of light. If possible, it should be slightly out of the way, but still part of the general living area. This can be as simple as a basket with a few books and a pillow. Get creative if you want, but don’t be intimidated by all the “99 unique reading nook ideas” on Pinterest. Work with the size of the area you have, and remember that the focus should be on the books. The bookshelf/basket can be found second-hand and freshened up, or built, or purchased new. Here are some ideas. Choose a variety of good quality books in perfect condition. If you always give kids ripped books, they will start to think ripped books are ok. If you give kids beautiful, well-taken-care-of books, they will learn to treat them as the treasures they are. Choose books based on your child’s interests. If he loves tractors, find a book that teaches him the names of different types of vehicles. If she loves animals, find a book about animal habitats, or the cat family. Choose beautiful books. Books can be kid-friendly without being dumbed-down. Change the books occasionally to keep your kids interested. 4. Choose one or two simple decorations. This is optional, but can help make the reading nook an inviting, peaceful place. 5. Invite the child to use the reading nook. Once everything is set up, invite one child at a time to see the beautiful new space. Show her how to choose a book, carry it carefully, turn the pages gently, and put it away when she is done. Set limits appropriate for the ages of the children, e.g. one child at a time, stay as long as you like, (or not) etc. Do you have a reading area in your home or classroom? What are your favorite books for children? Let me know all about your home/classroom library, I can’t wait to read and respond to your comments! And of course, please let me know if you have any questions, too. You are more than welcome to share from this site. All images and text on this site are property of Jean Kermode. When sharing, you may use one or two photos provided that a link back to my original post is included. Do not remove any watermarks, crop, or edit any of my images without first obtaining written permission from me. All free printables offered are for personal use only. Pinning is always appreciated! Thank you! This site is a participant in the Amazon Services LLC Associates Program, an affiliate advertising program designed to provide a means for me to earn fees by linking to Amazon.com and affiliated sites. For details about the information you give us through comments forms, etc., please see here. Copyright© 2019 · by Feast Design Co.